Sinop was a city of the Roman province of Pontus (1 Peter 1:1) in Asia Minor (now Turkey). The city not only had a long and storied history, but also was home to some famous people. Statue of Diogenes at Sinop, Turkey. Photo by Ferrell Jenkins. 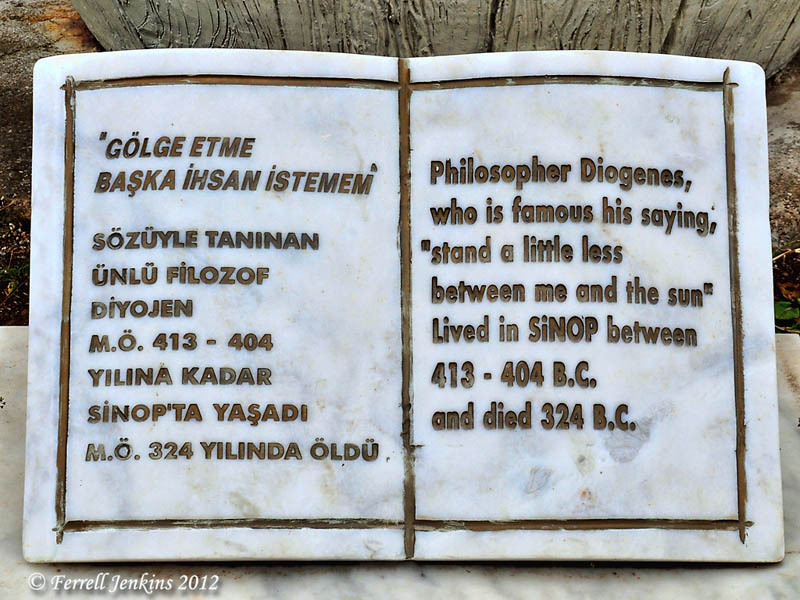 Sign on the Statue of Diogenes, Sinop, Turkey. Photo by Ferrell Jenkins. 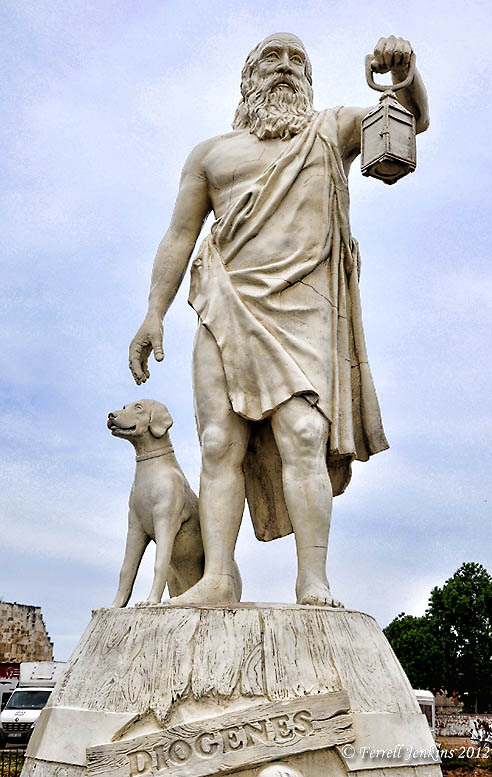 Diogenes is said to have walked around with a lamp in the daytime looking for an honest man. Some writers say that Diogenes spent some of his latter years in Corinth serving as a tutor. McDonagh credits the Roman historian Tacitus as saying that “the worship of Serapis started in Sinope and was introduced into Egypt by Ptolemy I Soter (367-283 BC)” (Blue Guide: Turkey). 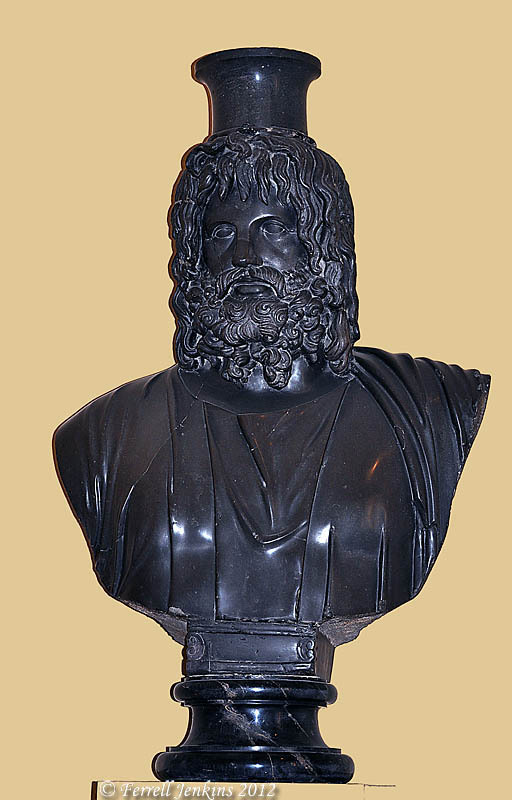 Bust of Serapis in the Vatican Museum. Photo by Ferrell Jenkins. More famous Sinopeans to follow. This entry was posted in Bible Places, New Testament, Photography, Travel, Turkey and tagged Diogenes, Serapis. Bookmark the permalink.